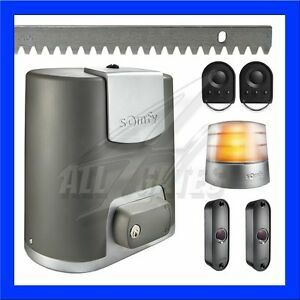 1 × Somfy Elixo 3S RTS sliding gate motor up to 500 kg. 1 × Master Pro Blinker (orange) with antenna for Somfy sliding gate motor. Manufacture: Somfy. 2 × KEYGO RTS remote transmitter. Maximum leaf weight: 500 kg.